Originally set up after a request from Winston Churchill, the Ministry of Defence’s UFO Desk ran for over 60 years, collating mysterious sightings and records of strange objects in the sky from observant members of the public. As well as letters and official reports, the UFO files contain photographs, drawings and even paintings of these curious sightings. 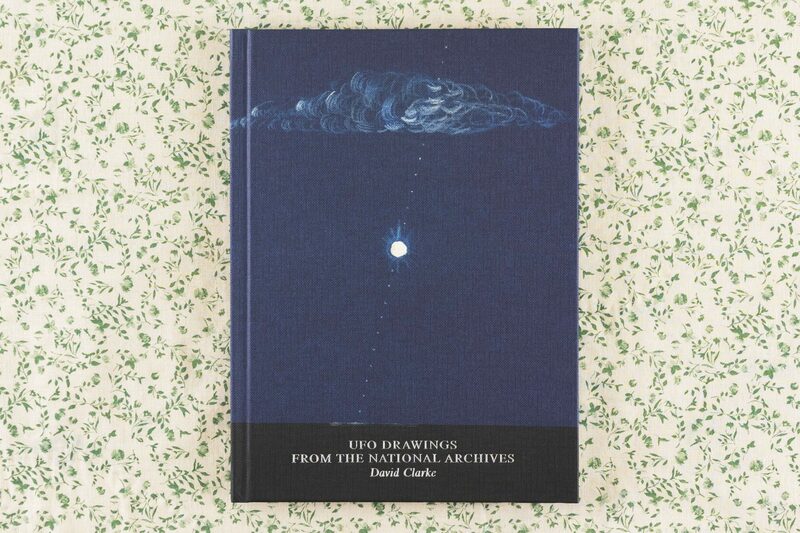 David Clarke has selected examples from The National Archives to present a history of British UFO art and the remarkable stories behind these images, including an alien craft on the A1, flying saucers over Hampstead, and a spaceship landing at a primary school in Macclesfield. Dr David Clarke is Reader and Principal Lecturer in Journalism at Sheffield Hallam University. His research interests include investigative journalism, contemporary legends and rumours. Since 2008 he has worked with The National Archives during the release of UFO files created by the Ministry of Defence. UFO Drawings From The National Archives is part of the Four Corners Irregulars, a series about modern British visual history. The National Archives is the official archive and publisher for the UK Government, and for England and Wales. It works to bring together and secure the future of the public record, both digital and physical, for future generations.